I wanted to dedicate this post to the snacker in all of us. We all know that there is a certain point in the day when we need to satisfy that sweet and salty craving to get through the last few hours of work, or for a snack in between meals. Personally, I always try to be prepared with a batch of my favourite goodies at the beginning of the week for a quick grab and go bite. I like to include nuts in my snacks because they are very satisfying, contain fibre, healthy fats and are very versatile. I might be a little nuts about nuts! I regret to inform you that there is no veggie featured in this post. A girl’s gotta snack, right? I looove this recipe because its so easy. Simple puree dates with a food processor and add an equal part of nuts. If you add the nuts to the food processor, the consistency will be smooth or if you crush the nuts with a pan over a ziploc bag full of the nuts, you will get a crunchy consistency, or you can combine half and half for a texture in between! 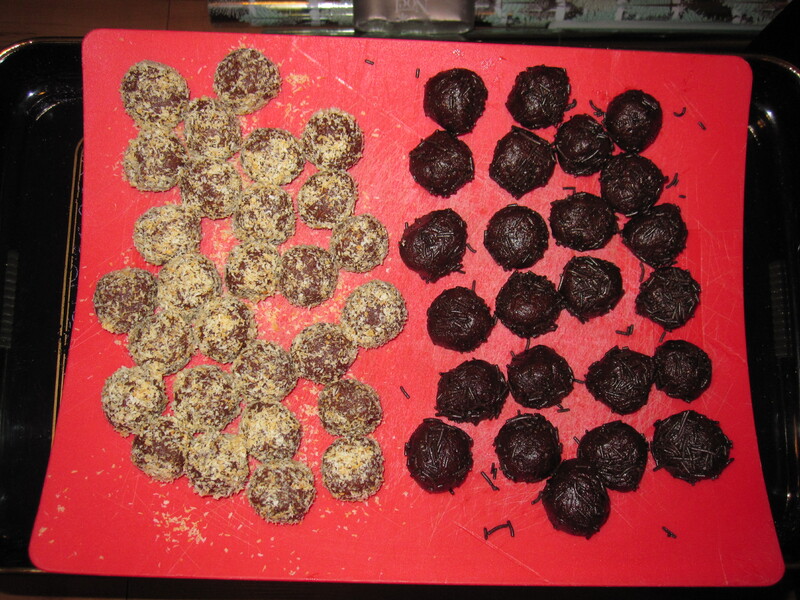 In the recipes below, I have also added a coating to the date balls such as orange zest and sugar, nuts, coconut or melted chocolate. 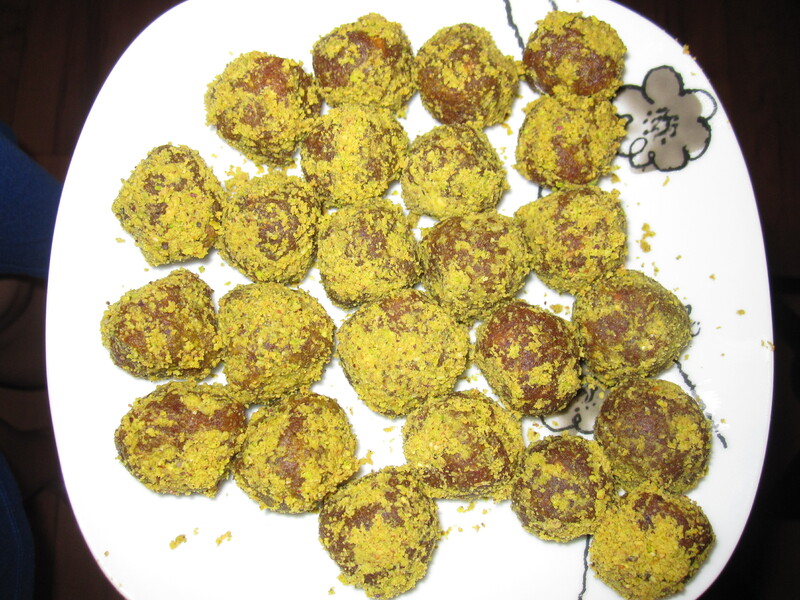 One batch of 20 small ball is equivalent to approximately 1.5 cups dates and 1 cup of nuts. And finally for a special dessert, combine almonds, dates and coat with melted chocolate. Once dried drizzle with some icing (mix 1/4 cup icing sugar with 1 tsp water or milk). Recently, I’ve also tried a cashew, date and lemon rind version of this recipe and I want to try a version with grated carrots, walnuts, dates, and coconut. 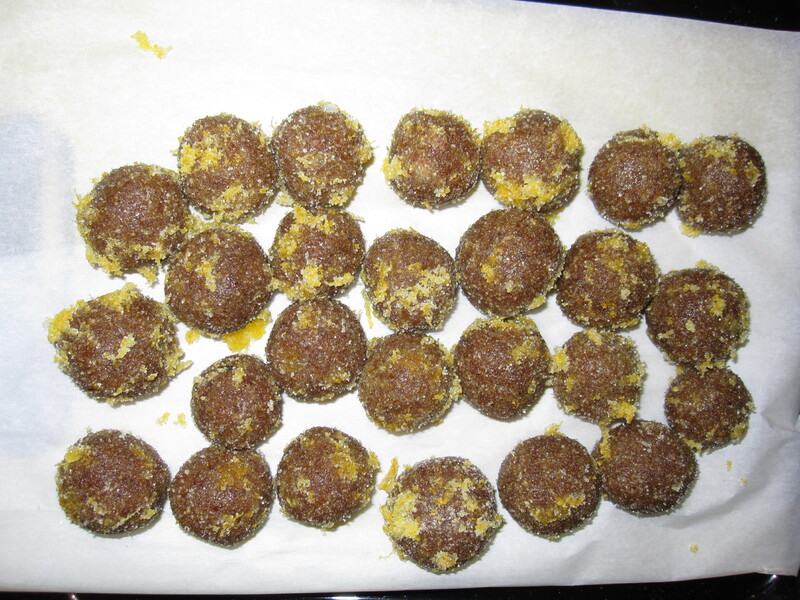 I got this recipe from the blog Chocolate covered Katie and modified it by using pecans instead of peanut butter to achieve a more firm consistency so this cookie dough can be rolled into balls and enjoyed on the go! Directions: Add all the ingredients to a food processor and blend until you achieve the right consistency and taste. Start by only adding 1/8 cup milk and add more if needed. Same goes for sugar, taste the cookie dough, and add more if needed. 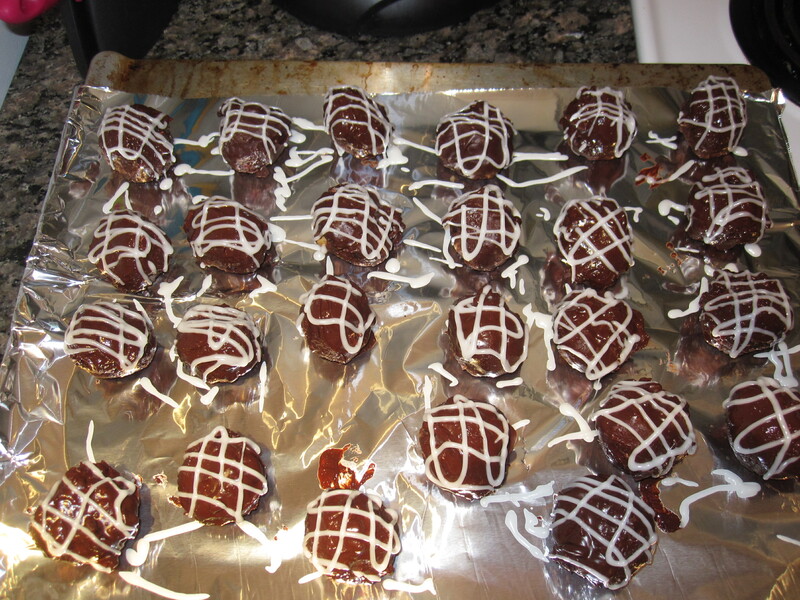 Stir in chocolate chips and raisins and rolls into balls. TIP: To convert this into dessert, serve with banana soft serve. To make banana soft serve simply freeze peeled bananas overnight and puree before serving. This makes a delicious creamy vegan ice cream!